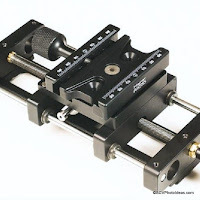 A new large Linear Motion Macro Rail comes to complete the family of Hejnar Photo MS5P macro rails introduced in 2016. The Hejnar MS5PS featuring a side Metric Scale is meant to fill the gap between the original MS5P_8 and the top MS5DSP with Digital Scale, as a more economical solution with scales. Somehow, looking at the table below, the MS5PS_8 is more of an enhanced MS5P_8 keeping all dimensions equal, except for being wider due to the addition of the side scale, than a reduced MS5DSP which is slightly large roverall. 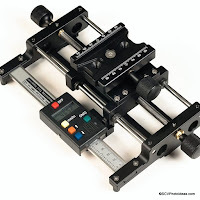 Self Aligning Linear Sleeve Bearings (slider). Same as all the latest Hejnar Macro stages the outer shell is aluminum with a 0.002" thick ceramic coating for added corrosion resistance and endurance at a temperature range of –400° F to +375° F (-240° C to +190° C ). Additionally, the Self Aligning Linear Sleeve Bearings inherent in all of the Hejnar MS5 series rails, have a nonabrasive, chemical-resistant PTFE liner which doesn't require any additional lubrication, consisting them virtually maintenance free. 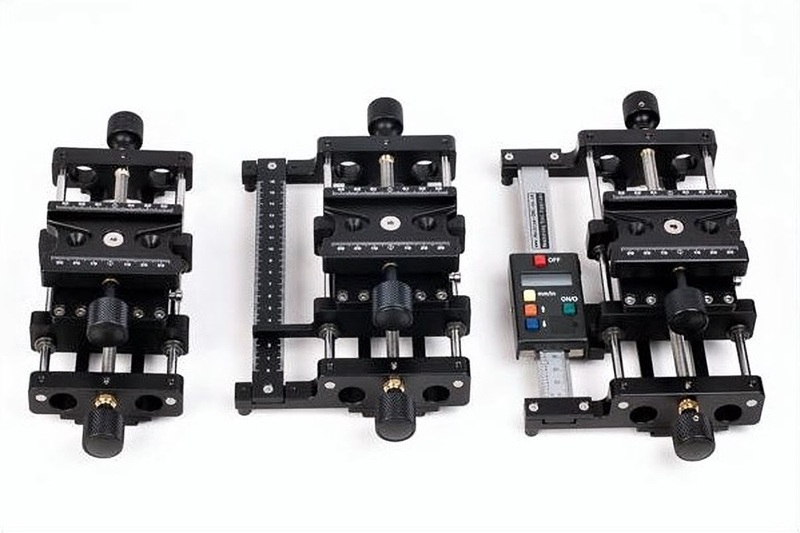 Now the Hejnar MS5P family of Linear Motion macro rails is comprised by three members. The Original MS5P_8 i.e. 8 inch length rail without scales, the newcomer MS5PS_8 an equally sized rail with metric scale on the side and the top MS5DSP which is slightly longer and larger featuring a Digital Scale. 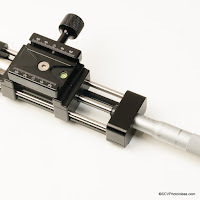 More information about the features of the MS5P family and specifically about the older rails may be found in their respective articles Updated Linear Motion MS5 DSP Macro Rail with Digital Scale from Hejnar PHOTO and Hejnar PHOTO MS5P 8" Linear Motion Lead Screw Macro Rail Preview. On the left Hejnar MS5_8, the new MS5_PS in the middle and the high end MS5_DSP on the right. 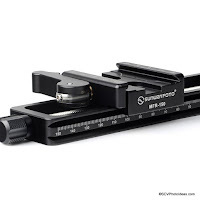 All Hejnar MS5 series macro rails come with the wider Hejnar F63b quick release clamp as standard. Likewise conforming to all Hejnar clamps standards the F63b is compatible with virtually any Arca style Quick Release plate. Further than that, as it is offered as an add-on unit, besides the ability to be reoriented by 90° increments, it can be completely removed and mounted on other equipment or even ball heads according to the end user desires. According to Hejnar Photo, the operational load capacity of their lead screw rails is up to 10 lb (4,53 kg) in vertical orientation (perpendicular to the ground), while it can be increased up to 15 lb (6,80 kg) in horizontal orientation (parallel to the ground). 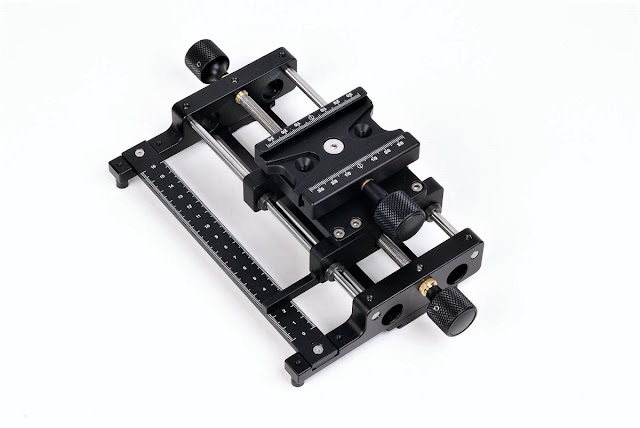 The price of the original MS5P_8 rail has been reduced to US$ 335,00 with the MS5PS_8 rail with Metric Scale taking its place at US$ 375.00 the top of the line MS5DSP with Digital Scale remains at US$ 525.00 (All prices plus shipping where applicable). Although the price is lowered, the MS5 DSP is one of the highest Hejnar products in value so quantities will be limited. Nevertheless the MS5 DSP is available for preorders from the Hejnar Photo online Store.